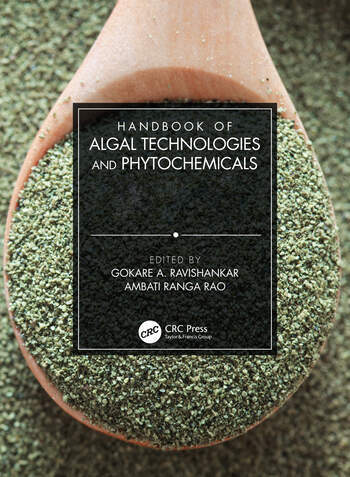 This two-volume set explores the aspects of diversity of micro and macro algal forms, their traditional uses; their constituents which are of value for food, feed, specialty chemicals, bioactive compounds for several novel applications and bioenergy molecules. The industrial production systems, downstream processing, utilization of the biomass and the metabolites of importance for various applications are addressed. Innovations in production technologies, coupled with the biological activities of their novel metabolites and molecules, offer tremendous scope for the exploitation of these micro and macro algal forms through industrial production processes in a sustainable manner. These two volumes offer a treasure house of information to the students and researchers of plant sciences, biological sciences, agricultural sciences, foods and nutrition sciences, health sciences and environmental sciences. Their practical value will benefit professionals including agriculture and food experts, biotechnologists, ecologists, environmentalists, and biomass specialists. This set will also aid industries dealing with foods, nutraceuticals, pharmaceuticals , cosmecuticals health care products, and bioenergy. Algal constituents for health and disease applications. Algal polysaccharides: innovative extraction technologies, health benefits and industrial applications. Sulfated polysaccharides from algae for biological and biomedical applications. Bioprocess engineering aspects of cyanobacterial exopolysaccharides: A review on past achievements and recent perspectives. Production, extraction and characterization of alginates from seaweeds. Algal antimicrobial activities and their possible utilizations. 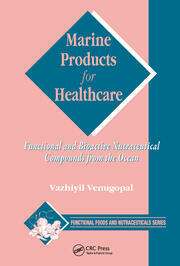 Antimicrobial action of compounds from marine seaweed. 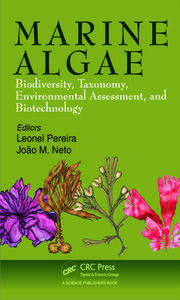 Algal Bioactive Compounds; A Comprehensive Appraisal. Ultrasound-assisted extraction of bioactive compounds from selected microalgae. Volatile organic compounds in microalgae based system. Antidiabetic usage of brown seaweed (Sargassum polycystum). Potential Bioactives from Seaweed for Diabetes and Obesity Management. Biologically active vitamin B12 from edible seaweeds. Potentials and Challenges in the production of algal pigments with reference to carotenoids, chlorophylls and phycobillins. Nutraceutical applications of astaxanthin and its esters from microalgae. Dunaliella salina: The extreme bioactive source of β-carotene (Pro-Vitamin A) for health and nutraceuticals. Algae based colorants for the food industries. Exploring the potential of using micro and macroalga in cosmetics. Quality control of microalgae utilized in nutraceuticals market. Microalgae for human nutrition: perspectives for the future. Nutraceutical aspects of microalgae: Will our future space foods be microalgae? Potential anti-cancer compounds derived from microalgae and cyanobacteria. Macroalgae and Microalgae: Novel sources of prebiotics and probiotics. Angiogenic actions of anionic polysaccharides from seaweed. 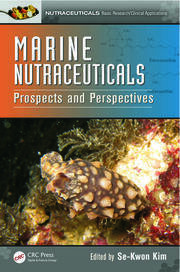 Pharmacological Importance of Mediterranean Seaweeds. Platform molecules from Algae by Supercritical CO2 and Subcritical water extraction. Algal Genomics and Metabolomics. Functional Omics and Big Data Analysis in Microalgae: The Repertoire of Molecular Tools in Algal Technologies. Algal metabolomics: Challenges and future prospects of phytochemicals for nutraceuticals and pharmaceuticals. Bioactive metabolites: Genetic regulation, Metabolism, bioactivities and the potential marketing opportunities and bioprocessing. Leaveraging genome sequencing strategies for basic and applied algal research, exemplified by case studies. Mass production of microalgae. Cultivation of microalgae Under stress conditions: a strategy for the accumulation of high value compounds. Modulation of lipid biosynthesis by stress in diatoms. Mass production of the low-cost EPA-enriched biomass with a focus on the filamentous algal strains. Automated Microalgal Nutrient Optimization System (AMNOSS)-An Advanced Revolution of Nutrient Optimization Methodology. Microalgae biomass, lipids and fatty acids production through photobioreactors: Challenges and Future Perspectives. New strategies for the design and control of raceway reactors to optimize microalgae production. Sustainable water and nutrient management in algal biomass production systems. Technologies for Separation and Drying of Algal Biomass for Varied Applications.